Ellis, on the other hand, received significant changes over the course of his character development, more than any other character. Very early on, Ellis wore blue jeans, a green hat, and a grey shirt. That outfit was later changed to baggy tan pants, a grey and blue sleeve shirt, and a blue hat with a red cross on the front (Note: That blue hat, in other screenshots, shows a tow truck on the front instead of a red cross). Originally the spitters’ spit was bright orange, instead of the bright lime-green color used in the final version. The jokey originally had large claws. Quoting from left4dead.wikia.com, the charger evolved over the course of its development. “Concept art shows that the developers had planned for the Charger to be either a large zombie with an armored upper skull yet tiny ‘T-Rex arms’ or a ‘tripod’ dog-like animal. Traits of both can be seen in the final version: the Charger has three functional limbs and one floppy tiny arm, as well as an exposed skull. Before the Charger’s design was finalized, it used a re-skinned Hunter model so that the team could test out how the Charger would play while the art team was designing it. When the Charger design was finished, like any other Infected, they recorded temporary sounds. The Charger’s temporary warning call was “AY!AY!AY!”, as said in the Developer’s Commentary. The Charger had many different series of attacks and went through multiple versions with different twists on his charge attack. In one version of his build, his charge attack caused him to trample over Survivors rather than grab them, and his melee attack was replaced with an overhead strike that smashed the Survivor to the floor before the Charger started pounding them. This behavior can be seen here. In another build, the Charger used to use his mutated arm during his charge. At this point in the game, the Charger would stop after grabbing a Survivor; however, when the Charger could carry the first Survivor they tackled, this animation was cut. The re-skinned hunter can be found below, near the end of the analysis. The fallen survivor made its appearance in the DLC, “The Passing.” Originally, the fallen survivor was going to be included in Left 4 Dead 2, but he was scrapped in the end. The fallen survivor is still in the game’s files and can be spawned using console commands. In the beta, the ammo upgrades would be deployed and ready for when the player(s) discover them. The game also points out the ammo upgrades with a message displayed on screen, directing the player(s) to the ammo upgrades, as seen in this screenshot below. Also note that you can take ammo upgrades more than once from the same ammo upgrade box. Note: all items (weapons, health, weapon upgrades, etc) are spawned by the AI director. There were also ammo packs. The ammo packs would replenish the player(s)’ primary weapons and would take the slot where the med-pack would go. The ammo pack was ultimately cut from Left 4 Dead 2. However the ammo pack texture can still be found in the games files. Ammo pack texture from www.Left4dead.wikia.com. The cricket bat changed during initial development. The cricket bat originally had a white and blue color scheme; this was changed to a simple wood finish in the final version. # Originally the melee weapons were supposed to break after prolonged use, but the development team ultimately decided against it after testing. Break sounds for the Axe and Frying Pan weapons can still be found in the game files. The parish campaign originally contained CEDA zombies. In the final, The CEDA zombies are exclusive to the Dead Center campaign and any and all CEDA zombies were removed from the parish. While testing and developing Left 4 Dead 2, some items and enemies were re-skinned and were used as temporary placeholders while the official models (and animations) were created. Some of the re-skinned/temporary placeholder items and enemies can be found in the games code. The hunter model was re-skinned and used as a temporary placeholder for the charger, while the charger model was being completed. The same can be said for the pill bottle and med kit, both of which were re-skinned and used as placeholders. The re-skinned pill bottle was used as a placeholder for the adrenaline shot and the re-skinned med kit was used a placeholder for the defibrillator. Both of the re-skinned health items can be found in the games files. Last updated by U64 Staff & Contributors at 29-06-2013 . This was a very good analysis! It’s nice to see the depth of these versus the normal posts. Glad you liked the post; there will be a L4D1 analysis sometime in 2011.
do you also notice that nick’s white suit is more clear and neater and so as the other survivors than in the beta version? 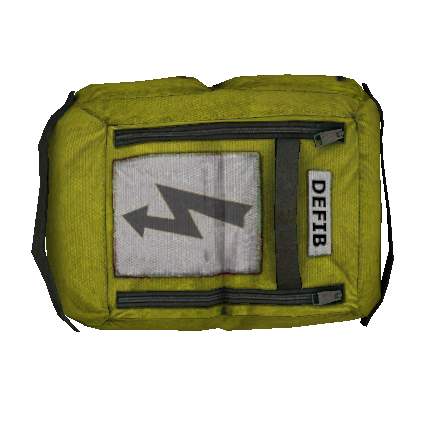 Here’s an image of the re-skinned health kit that was a placeholder for the defibrillator. Well even after all this change at least Left 4 Dead 2 came out. Furthermore, if all these beta changes were added in optionally I think that would have helped people breathe a sigh of relief because then people could see what it was and what it is currently like. Also I wonder what Left 4 Dead 3 is going to be like and will they release the beta soon too?